After your adventure with the Bee’s, why not take a look around our shop for some souvenirs? After enjoying your lunch, why not browse our shop? 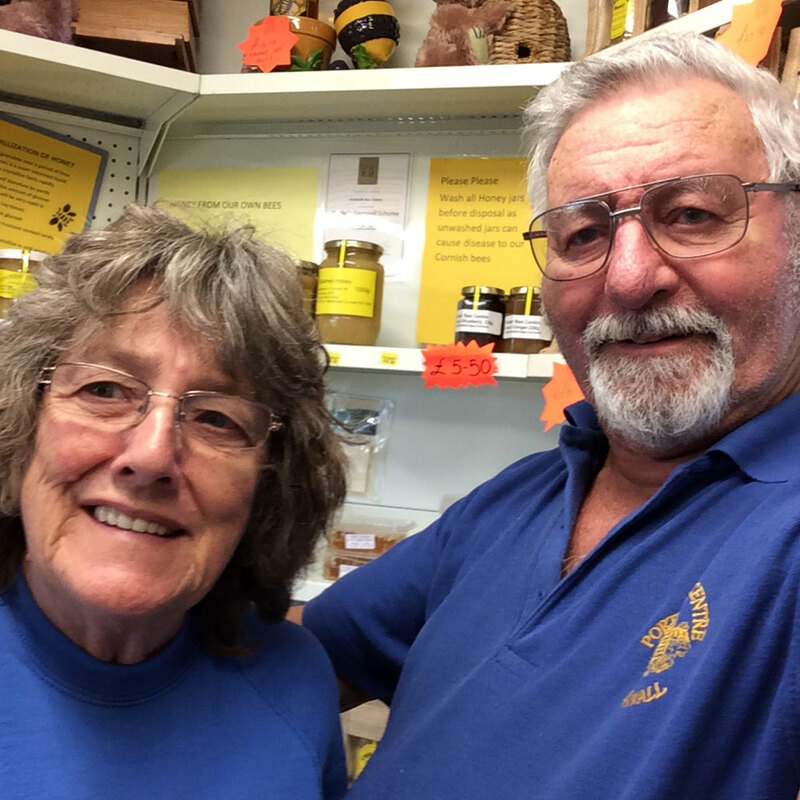 The Porteath Bee Centre shop sells a wide range of products ranging from honey, hand made bees wax candles, furniture polishes for old and new furniture, and even a waterproof wax for boots and shoes. Try our own Cornish honey, collected by our own bees in the Cornish countryside and extracted and produced in our special extracting room. We also have delicious home made honey ice cream, honey fudge, jams and marmalades for a truly mouth watering experience. There is also a fine range of beeswax, honey and honeycomb cosmetics manufactured by Honeycomb Cosmetics and Honey Cosmetics. We also have soft toys, Portmerion Pottery, Dunoon (stoneware and china) Melamaster trays, Sophie Allsop china plus a range of honey pots. Most things in the shop are bee related in some way, and there are also other Cornish produce available.